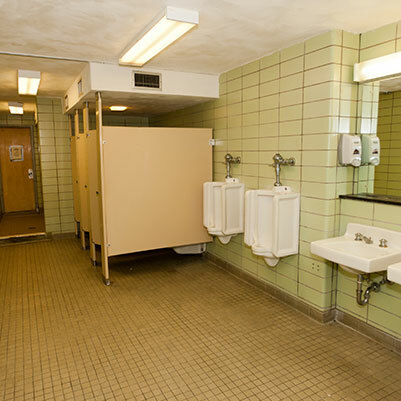 Restrooms were renovated on all floors of the Crone wing in McNutt Quadrangle and the Rabb wing in Teter Quadrangle on the IU Bloomington campus. The existing common restrooms and showers were replaced with an individual-style configuration to provide privacy for residents. Installation of new piping, ventilation systems, lighting, and fire-alarm strobes were included in this project. 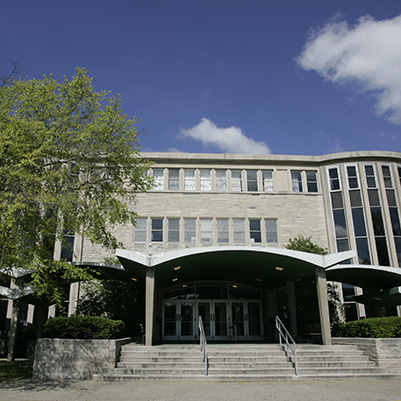 The roofs on the Crone wing of McNutt and the Rabb wing of Teter were also replaced. The doors were replaced in every dorm room on all floors of the Rabb wing of Teter.